The recent publication of ‘BitLicenses’ proposals by the New York State Department of Financial Services (NYDFS) and its superintendent Benjamin Lawsky may be the most controversial talking point to hit bitcoin in its history. Only a few weeks have passed since the proposals were released, but the response has been strong from New York businesses to those far away. The NYDFS initially opened a 45-day window for those in the digital currency industry to respond and provide recommendations based on the proposal. The time was noticeably short, given the diversity of affected participants in all geographic locations and the lack of immediate access to legal counsel many would have. As a result, a petition signed by nearly 500 organizations and individuals has requested that the NYDFS provide more time for the digital currency industry to prepare submissions and opinions. Additionally, some of the biggest companies in the ecosystem, including Coinbase and Circle, are expected to publish their own detailed responses to the proposals imminently. Interviewed on WCNY’s Capitol Pressroom podcast on 7th August, Lawsky gave strong hints that prevention of money laundering is “one of the most important things” NYDFS addresses. He also admitted several times that digital currency technology is “powerful”, and expressed a desire to ensure innovation would be “hubbed in New York”. Admitting that money laundering is widespread even in the ‘traditional’ financial industry, he said the NYDFS should be “an aggressive, but fair, careful, on-top-of-it regulator who’s trying to allow the businesses to thrive”. CoinDesk published an article with industry responses to the BitLicenses proposal immediately after its publication. 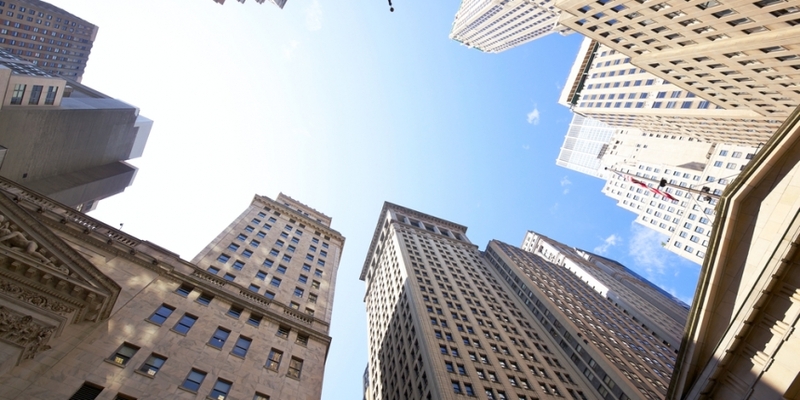 While a majority are in favor of some kind of regulation, there is a unanimous opinion that the proposals presented by Lawsky and NYDFS are overly broad and restrictive, and could have a deleterious effect on both financial innovation and New York State’s prestige as a leading financial center. Others said bitcoin businesses could self-regulate, or that enough ‘regulation’ is already built into the technology itself. Jacob Farber of legal firm Perkins Coie said he had originally not intended to speak out against the BitLicense proposal, but is now glad he has. Do the NYDFS proposals create high barriers to entry for new or financially unsupported players? The respondents were unanimous here in their opinion that regulation definitely raised the bar for entry level by increasing costs for startup proprietors who probably could not afford the legal fees required. Perianne Boring pointed to specific clauses in the proposals concerning money laundering, saying they were only appropriate for a small fraction of bitcoin companies, such as larger exchanges. Haseeb Awan said banks only have a low rate of fraud because of their immense scale, with Michael Terpin adding that the hurdles companies would have to jump through are mostly “unnecessary”, and not even required for transmitting cash. Adam Draper agreed, saying fingerprinting requirements are definitely beyond most startups’ capabilities. Tracking transmissions and keeping ten years of records are also beyond the capabilities of most small businesses, Tim Byun said, adding that even well-funded startups are not entirely immune to the high costs of anti-money laundering (AML) compliance. Christopher David said the proposed rules would “punish small entrepreneurs and stifle innovation” and called for BitLicenses to be optional. Roger Ver, a fervent opponent of the proposals, said BitLicenses are “just a guise to protect the banks and other established industries” from competition that bitcoin would bring. Boring went on to say BitLicenses would “inhibit innovation and crush startups”, pointing out that the proposals would restrict bitcoin companies from acting like banks (eg by prohibiting lending) while regulating them the same way they do banks. The NYDFS needed to publicly release the research it conducted in constructing the proposals, in order for the community itself to decide if those costs and burdens on startups are justified. Is the NYDFS definition of ‘virtual currency’ and ‘virtual currency business activity’ too broad? Yes, not all digital tokens are the same, added Michael Terpin. Those used for transactions and as stores of value are different to the kind that aim to validate contractual rights on a block chain. Tim Byun agreed, pointing out that the NYDFS defines ‘virtual currency’ as a digital unit in a similar way to the IRS’ ‘property’ definition, but still requires Currency Transaction Reports (CTR), which now apply only to money. Broad definitions are probably deliberate, said Haseeb Awan, with Christopher David agreeing that regulators are rarely specific when drafting laws for new technologies. Specific categories of companies and optional regulations, he added, are better. “Bitcoin is real, not virtual,” said Jim Harper, which is the reason NYDFS felt it necessary to draft the proposal in the first place. Insufficient consideration of the bitcoin protocol and technology likely caused the broad definitions which can hopefully be fixed by the notice-and-comment period. Erik Voorhees said the government has no right to dictate how people use this new distributed technology, as they are “the same people who preside over and bless the morally repugnant legacy financial system, and turn a blind eye to the biggest financial scam in history (central banking)”. Releasing a new digital currency at all without a licence and compliance would now be illegal, Voorhees said, adding that businesses would only get approval after becoming tools of surveillance. Is user anonymity/privacy something the bitcoin community should safeguard? Reactions to this question were mixed and qualified, showing the largest diversity of opinion. Most were of the view that a balance is required. “No,” said Adam Draper, without elaborating. “Yes and no,” said Tim Byun. Yes because existing norms surrounding consumer privacy, physical security and protection from fraud and identity theft demand it; but no because bitcoin should comply with the existing risk-based know your customer (KYC) and other reporting rules that the fiat currency world already has to comply with. Jim Harper said surveillance of transactions is at odds with both bitcoin users’ and consumers’ privacy demands, and the level of privacy they could expect is similar to that dictacted by deals between corporations and governments in the fiat currency realm. Governments should be able to examine transactions in narrow instances where it truly feels it is stopping terrorism or other crimes, said Michael Terpin. But thousands of cash transactions happen every second without an ID requirement, and police are not legally allowed to force themselves into homes at night randomly to ensure no crimes occur. There needs to be just cause for adding these conditions to digital currency. Christopher David pointed out that the theft of millions of customers’ personal data from Target is one reason to fear the centralization of personal data, and that users should be free to decide what information they provide. Will O’Brien argued in a similar vein, saying the public ledger of bitcoin holdings and transactions could also be examined by a nefarious party. BitGo‘s BIP32 ‘Hierarchical Deterministic’ (HD) wallets could address this, he said. Bitcoin doesn’t provide anonymity anyway, said Voorhees, but added that anyone not accused of a crime has a right to privacy in finance just as they have the right to lock their doors and put shades on their windows. Perianne Boring also reminded everyone that bitcoin is only pseudonymous, comparing it to the ‘numbered’ accounts of Swiss banks that hold detailed client information on which customers rely for their secrecy for protection (often for political and human rights reasons). Transactional secrecy is also necessary for some business purposes, she added. Will startups now exclude New York customers and otherwise avoid the jurisdiction of New York whilst they get off the ground? “Bitcoin is not local. The NYDFS is trying to make it local, which is impossible,” said Awan. Opinions here range from “that would be a tragedy” to “we’re already seeing it”. Draper said he hopes another state, perhaps Texas or Colorado, might seek to attract business away from New York with more favorable regulatory conditions. This competitive governance could then see New York change its rules if it sees job losses. Halsey Minor, of BitReserve, seconded Texas as a potential future financial center, saying “the world is a very competitive place for companies and jurisdictions”. He expressed hope that few other states or countries would ever follow New York’s lead after seeing the results. Several respondents said they are already aware of businesses either preparing to move out of New York or (for those outside the state) planning to block any customers whose IP addresses are located there. Boring said the current proposals risk cutting New Yorkers out of a crucial aspect of the digial economy, creating what she called a kind of “Cyberia” which could even injure New York’s standing as the world’s financial capital. Ver and David also claimed to know several examples of bitcoin businesses planning to move out of New York or even the US altogether. 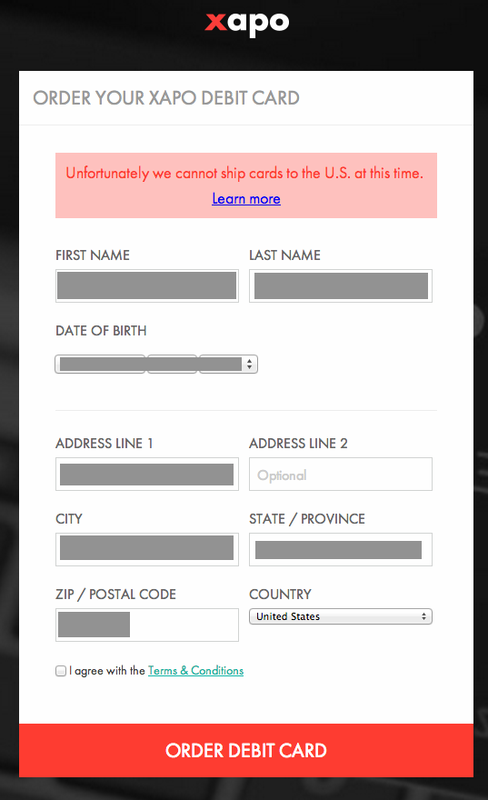 Ver pointed out that US residents are already blocked from acquiring the Xapo bitcoin debit card. Terpin and Byun said it is “quite likely” or “quite possible”, and could get worse if businesses simply decided to shut down or block US customers altogether and that it is natural for businesses to choose the most favorable conditions if given a choice. Voorhees went a step further, vowing to “block New York entirely if the BitLicense passes in its current form,” and added that most other bitcoin entrepreneurs he knows feel the same. “Prudence and principle” dictated the blocking of jurisdictions where one was legally forced to spy on innocent people, he said. Do the promised business benefits of increased regulatory certainty (eg banking relationships) outweigh the costs of compliance? Some respondents debated whether regulatory certainty actually produces benefits. Voorhees said the question is “somewhat misguided”, adding that tenuous relationships between bitcoin businesses and banks are due to risks associated with existing KYC/AML regulations. It isn’t bitcoin’s unregulated status that makes bitcoin businesses risky to existing financial institutions, he claimed. The industry is so heavily regulated today, and in danger from unanticipated interpretations or retroactive rules, that it makes any financial innovation seem perilous. O’Brien added that comparing regulatory benefits to costs was “too simple a trade-off”, pointing to Texas as an example of bitcoin companies complying with existing laws instead of being burdened with new ones. Draper also cited Texas’ example, repeating that it, like Colorado and California, offers more attractive alternatives. Boring and Draper agreed that sensible and proportionate regulation is necessary. Draper said that BitLicenses are the result of “everyone in the state adding a rule to the list”, while Boring’s opinion is that a lack of understanding of the technology and concepts involved in bitcoin could lead to overbearing rules that could eliminate economic benefits. Traffic lights are a good example of effective, unintrusive regulation, Boring added. Byun said time would tell, but the current proposal “as-is” could be too heavy and outweigh the benefits, with David adding it would “force everyone into the same one-size-fits-all scheme”. Water it down and make it optional, he maintained. Awan said it “may be too early for this sort of licensing”. Is there a specific area of the proposal that you strongly disagree or agree with? “Too many to list,” said CoinVox’s David. He, Byun and Terpin all agreed that the rules put early-stage startups and entrepreneurs at a disadvantage with its burdensome compliance and security costs, thereby killing innovation. The breadth of the requirements and amount of data collecting are also primary concerns, with bitcoin businesses appearing to suffer greater regulation than other payment methods. “Would Mt. Gox still have happened [with these regulations]?” asked BitAccess’ Awan, saying only proof-of-solvency would have protected user deposits there. The Bitcoin Foundation may raise the issue of BitLicenses being too technology-specific, said Harper, sweeping in software companies that never handled actual funds. Keeping detailed records of every transaction also had “privacy consequences”, he added. Ver again maintained that regulations by their very nature are illegitimate, while Voorhees said he believes in strong regulation, but only if that regulation is market-based. David also disagreed with the centralizing of user data with the government, especially since bitcoin’s very power comes from its decentralization. Lawsky employs the traditional negotiating tactic of tricking stakeholders into debating extreme ‘throwaway’ provisions in order to pass the others, which are just as restrictive. Will the BitLicense prove to be a boon or a burden for the industry? Given their previous answers, it is unsurprising that most respondents chose “burden”, with Byun, Terpin, David and O’Brien all declaring that only a significant modification of the current proposals would mitigate this. “Like all business licensure laws, it will be a boon for the established players, and a burden for the rest of humankind,” said Ver. Voorhees added that New Yorkers would find themselves “ring-fenced out of the most important wave of financial innovation in America’s history”. “But hey,” he concluded, satirically alluding to one of bitcoin’s negative associations, “at least they’ll be protected from terrorists”.